Bovingdon Airfield was constructed during 1941/42 by John Laing & Son. 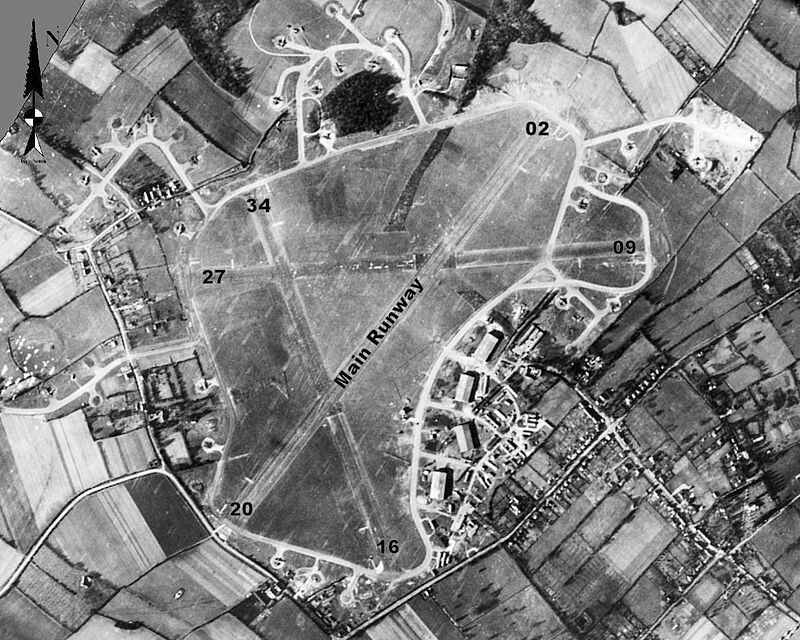 In June 1942, RAF Bomber Command took up residence at Bovingdon. Operational missions were flown by the RAF until the airfield was handed over to the United States Army Air Forces later that year. With its main runway over a mile long, it was home to the American Air Force 1943-1963 and was known as US Air Station 112. 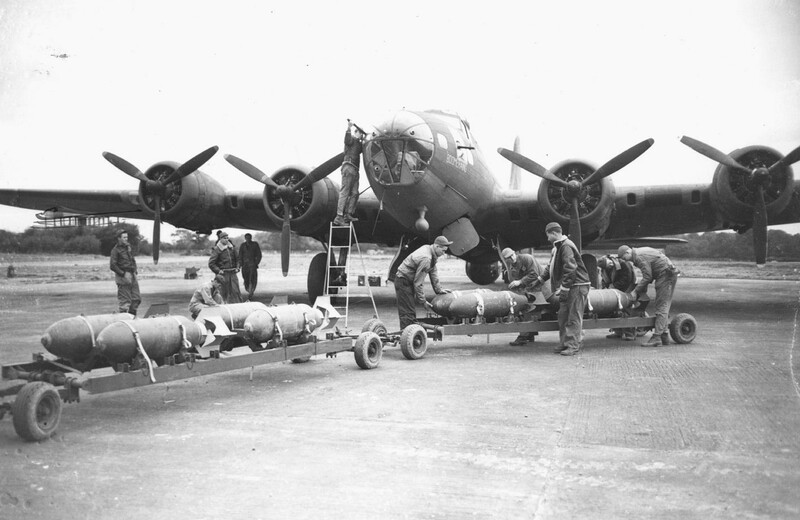 The Americans flew some combat missions from Bovingdon before the airfield was assigned the role of a training base for B-17 crews until the end of the Second World War. Along with its training role, Bovingdon housed the Eighth Air Force Headquarters and the Air Technical Section, both equipped with a variety of aircraft types. General Eisenhower’s personal B-17 was housed on the base. In September 1944 Bovingdon became the base for the European Air Transport Service. Thousands of Americans returned to the States via the air terminal. During World War II, several film stars were assigned at one time or another to the base, including Clark Gable, James Stewart and William Holden. Among famous wartime visitors were Bob Hope, Mrs Eleanor Roosevelt and Glenn Miller. In 1947 Bovingdon was returned to RAF control. The British Ministry of Civil Aviation obtained the airfield for civilian airline use. Because of its elevation, Bovingdon was often clear when London Heathrow and Northolt were fog-bound. Bovingdon was used by British European Airways (BEA). British Overseas Airways Corporation (BOAC) used it as a maintenance facility and numerous other independent aircraft operators utilised the former technical site during the post-war years. 1951 saw the return of the USAF Coastal Command Communications and in 1962 the RAF returned with the Southern Command Squadron. During the 1960s Bovingdon was used in the production of several World War II films including The War Lover (1961), which starred Steve McQueen and 633 Squadron (1964). Although flying ceased at the airfield in 1969, some flying scenes for the film Hanover Street starring Harrison Ford were shot there in 1978. The airfield was shut down in 1972. The airfield site is currently used for a regular Saturday market as well as bank holiday Mondays. As well as hosting the market the airfield has been used for filming tv dramas and also feature films.